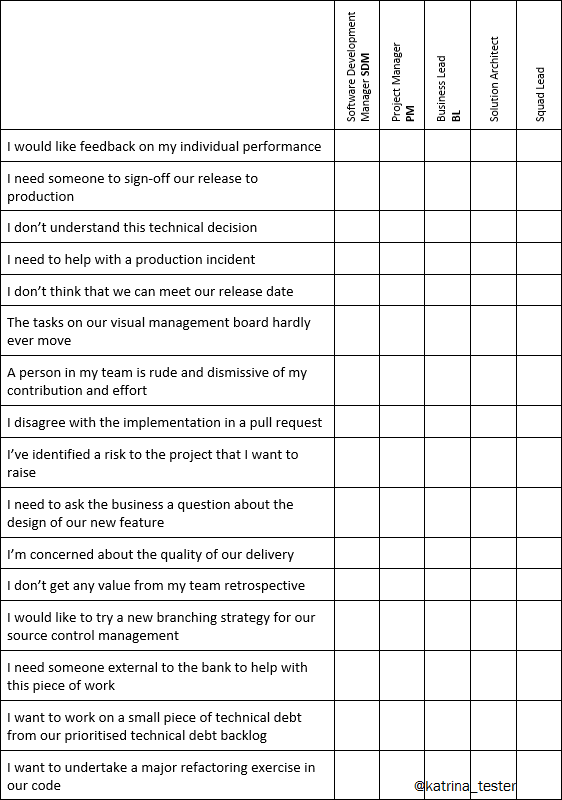 The Test Coaches in my organisation provide support for our test automation frameworks. We create tailored training material, investigate new tools in the market, agree our automation strategy, monitor the stability of our suites, and establish practices that keep our code clean. 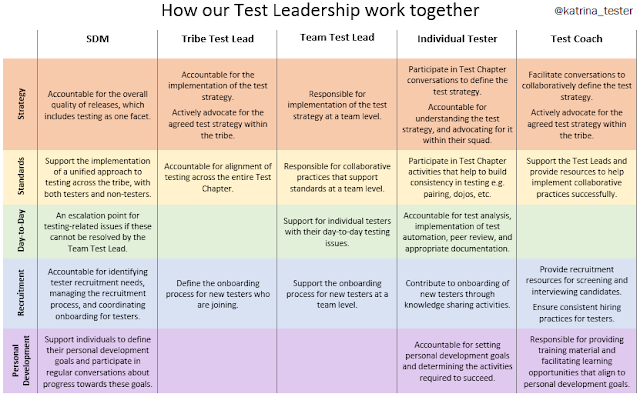 A lot of this work is achieved in partnership with the testers. 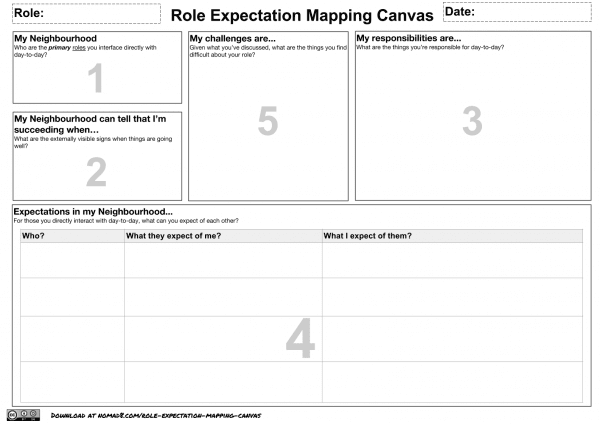 We create opportunities for shared learning experiences. We facilitate agreement of standards and strategy that emerge through conversation. 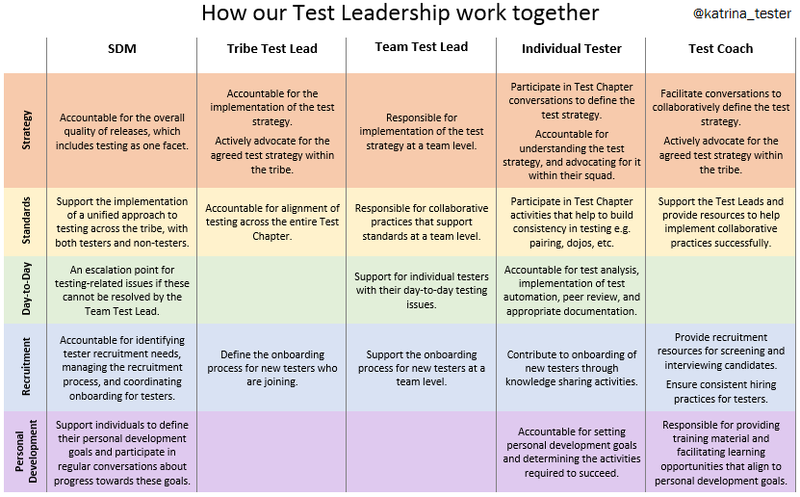 I like using coding dojos to establish these collaborative environments for test automation. When I run a coding dojo, all the testers of a product gather with a single laptop that is connected to a projector. 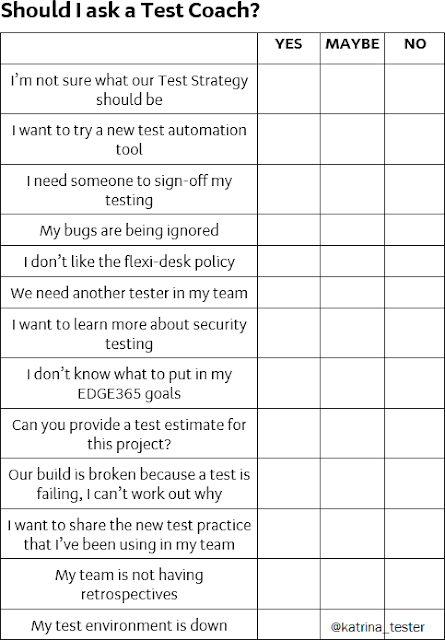 The group set a clear objective for a test automation task that they would like to complete together. Then everyone participates in the code being written, by contributing verbally and taking a turn at the keyboard. Though we do not adopt the strict principles of a coding dojo as they were originally defined, we operate almost exactly as described in this short video titled 'How to run a coding dojo'. 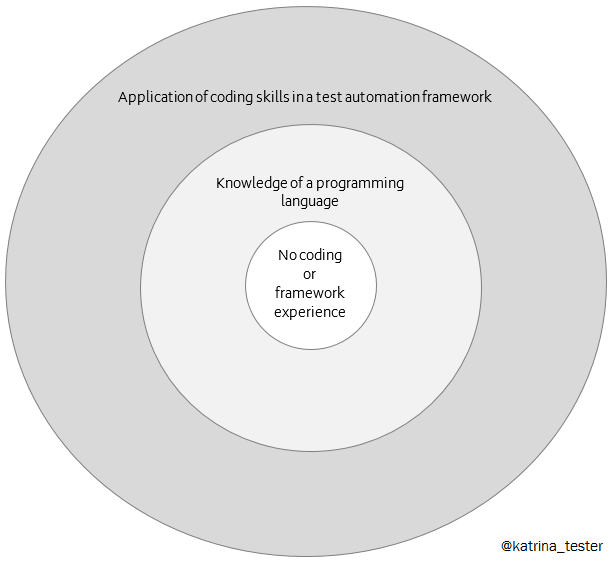 When using this format for three different types of test automation task - training, refactoring, and discovery - I've observed some interesting patterns in the mechanics of each dojo. 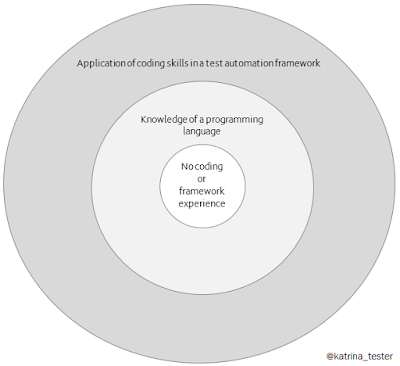 Where there are many testers working on a product with multiple types of test automation, individuals may specialize e.g. user interface testing or API testing. It isn't feasible for every person to be an expert in every tool. Often those who have specialized in one area are curious about others. A coding dojo in this context is about transfer of knowledge to satisfy this curiosity. It also allows those who don't regularly see the code to ask questions about it. The participants vary in skill from beginner to expert. There may be a cluster of people at each end of the spectrum based on whether they are active in the suite day-to-day. Communication in this dojo can feel like it has a single direction, from expert to learner. Though everyone participates, it is comfortable for the expert and challenging for the beginner. In supporting the people who are unfamiliar, the experts need to provide a lot of explanation and direction. 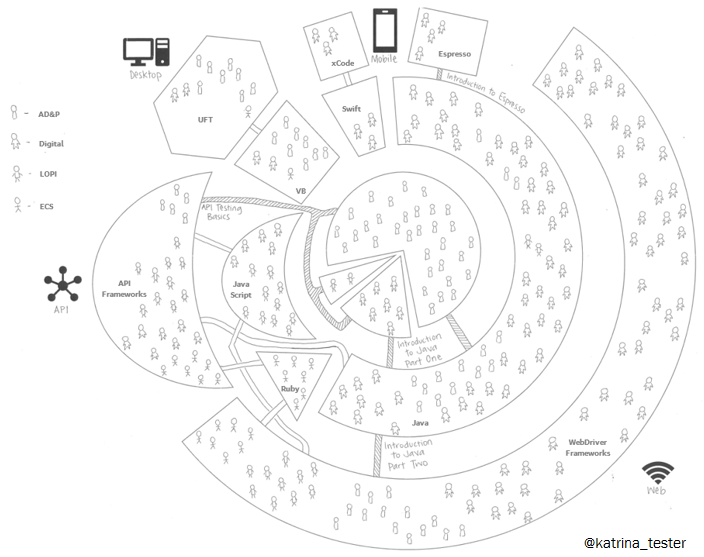 This can create quite different individual experiences within the same shared environment. A beginner may feel flooded by new information while an expert may become bored by the slow pace. Even with active participation and rotation of duties, it can be difficult to facilitate this session so that everyone stays engaged. When many people contribute to the same automation suite, variation can emerge in coding practices through time. 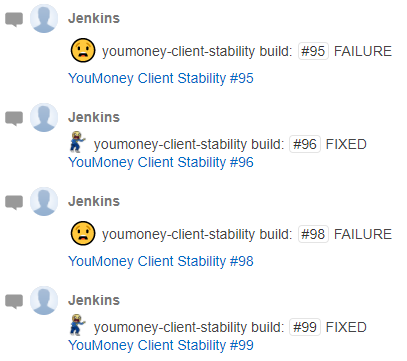 Occasionally refactoring is required, particularly where older code has become unstable or unreadable. 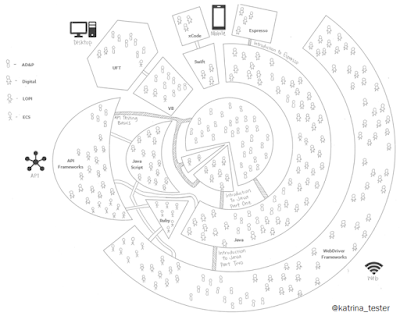 A coding dojo in this context is useful to agree the patterns for change. 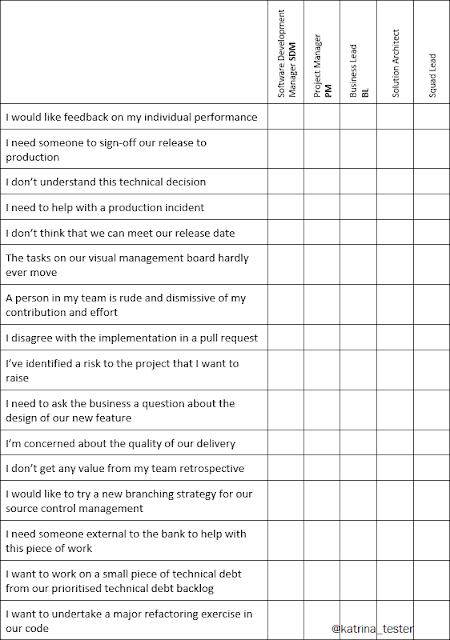 Rather than the scope and nature of refactoring being set by the first individual to tackle a particular type of problem, or dictated by a Test Coach, a group of testers collectively agree on how they would like to shape the code. Though the skill of the participants will vary, they skew towards expert level. 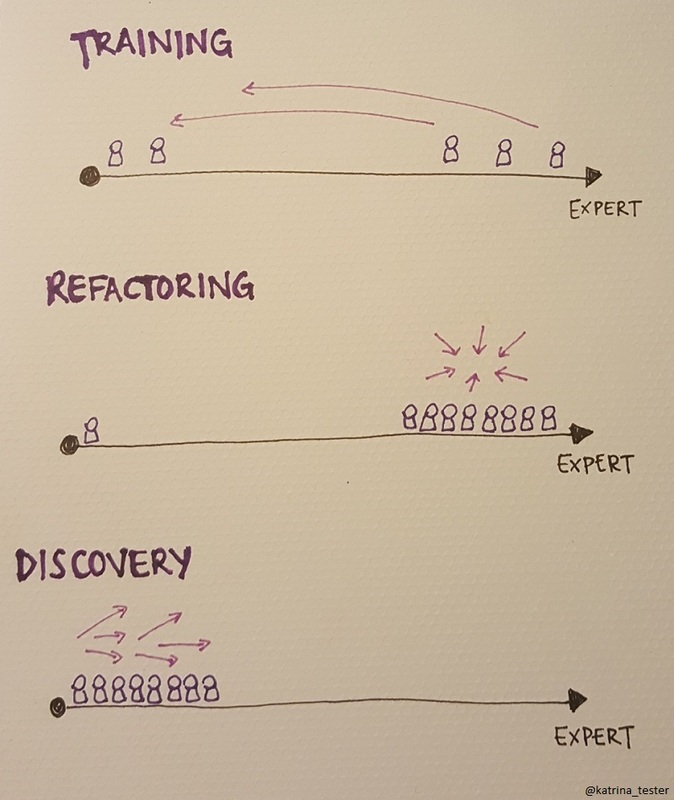 The audience for refactoring work is usually those who are regularly active in the code - perhaps people across different teams who all work with the same product. Communication in this dojo is convergent. There are usually competing ideas and the purpose of the session is to reach agreement on a single solution. As everyone participates in the conversation, the outcome will often include ideas from many different people. In this example I've included one beginner tester, who might be someone new to the team or unfamiliar with the code. Where the context is refactoring, these people can become observers. Though they take their turn at the keyboard, the other people in the room become their strong-style pair, which means that "for ideas to reach the computer they must go through someone else's hands". As our existing suites become out-dated, or as people hear of new tools that they would like to experiment with, there is opportunity for discovery. An individual might explore a little on their own, then a coding dojo is an invitation to others to join the journey. The participants of this dojo will skew to beginner. The nature of prototyping and experimentation is that nobody knows the answer! Communication in this dojo is divergent, but directed towards a goal. People have different ideas and want to try different things, but all suggestions are in the spirit of learning more about the tool. The outcome of this dojo is likely to be greater understanding rather than shared understanding. Though we probably won't agree, but we'll all know a little bit more. 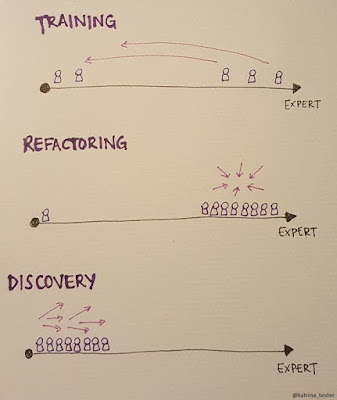 For training, refactoring, and discovery, I enjoy the dynamics of a coding dojo format. 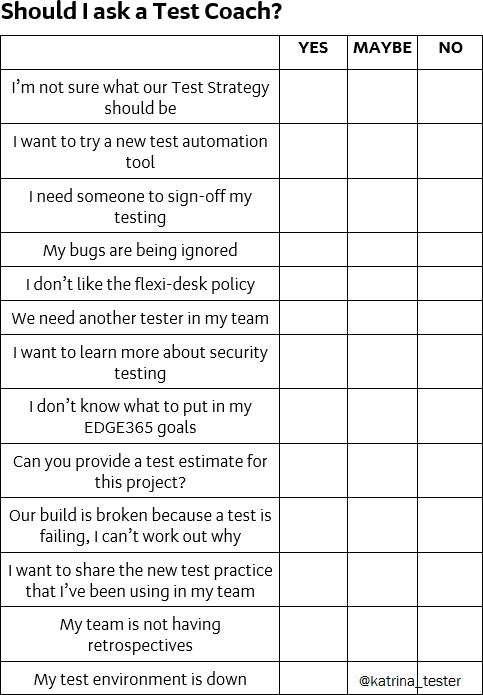 I would be curious to know how these experiences match your own, or where you've participated in a dojo for test automation work in a different context. When I was first promoted to a leadership role in tech, I looked for leadership resources that were written by women with advice targeted to a tech environment. It took some time to discover these articles, which resonated with me and have each contributed to my leadership style in some way. 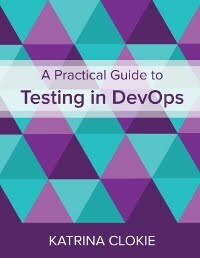 They are written by a variety of women in the US, UK, Europe and New Zealand, many have ties to the software testing community. This list includes several themes: leadership, communication, learning, inclusion, and recruitment. 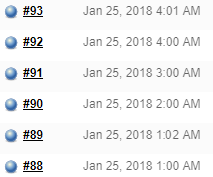 I would love your recommendations for other articles that could be added.